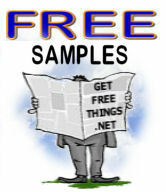 Get Free Samples from GetFreeThings.net! Simply Right Baby Care is Giving Away Free Samples of Diapers and Wipes! Sample the new Meow Mix Tender Centers cat treats! Receive a free 2 count sample of new Cascade Action Pacs! Get free samples from all of your favorite brands, as well as printable coupons for even more freebies! Grab Your Free Sample of new Curel Lotion! Get Free Nivea Smooth Sensation Moisturizer Samples! Register with Procter & Gamble for Brand Name Free Samples and Coupons!